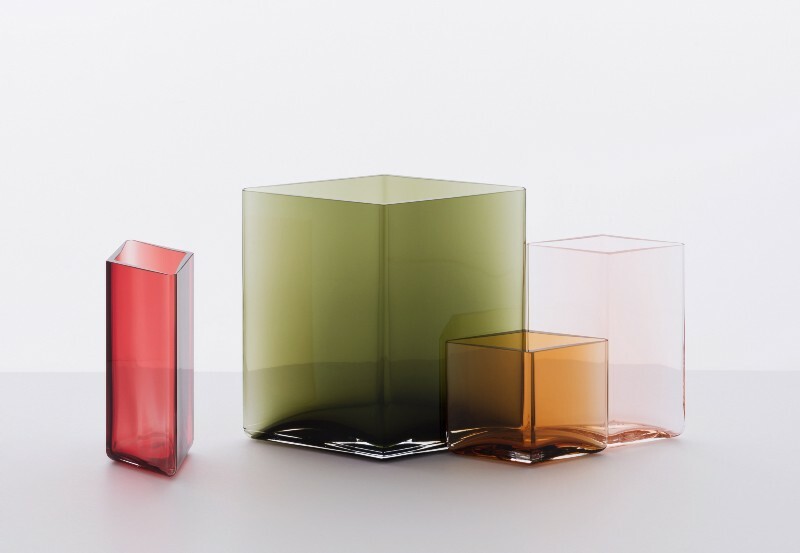 Ruutu, which means diamond or square in Finnish, is a collection of 10 vases available in five sizes and seven colours. 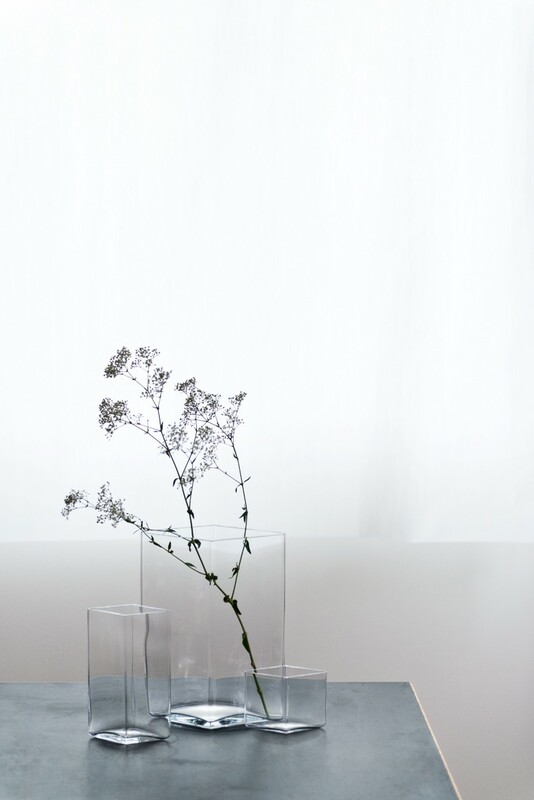 When collected and combined, they make small seamless installations where both the strength and the delicate nature of the glass come alive. 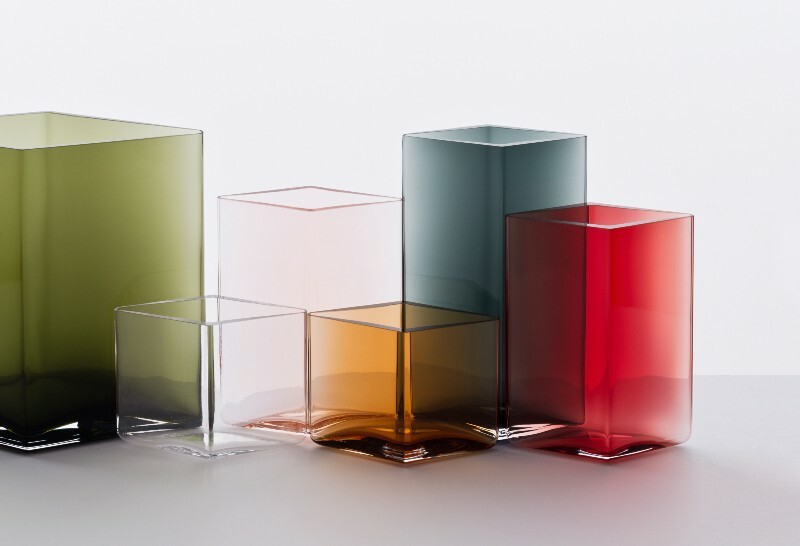 Like Ittala’s iconic Alvar Aalto collection, Ruutu is also created in Iittala’s Finland factory. 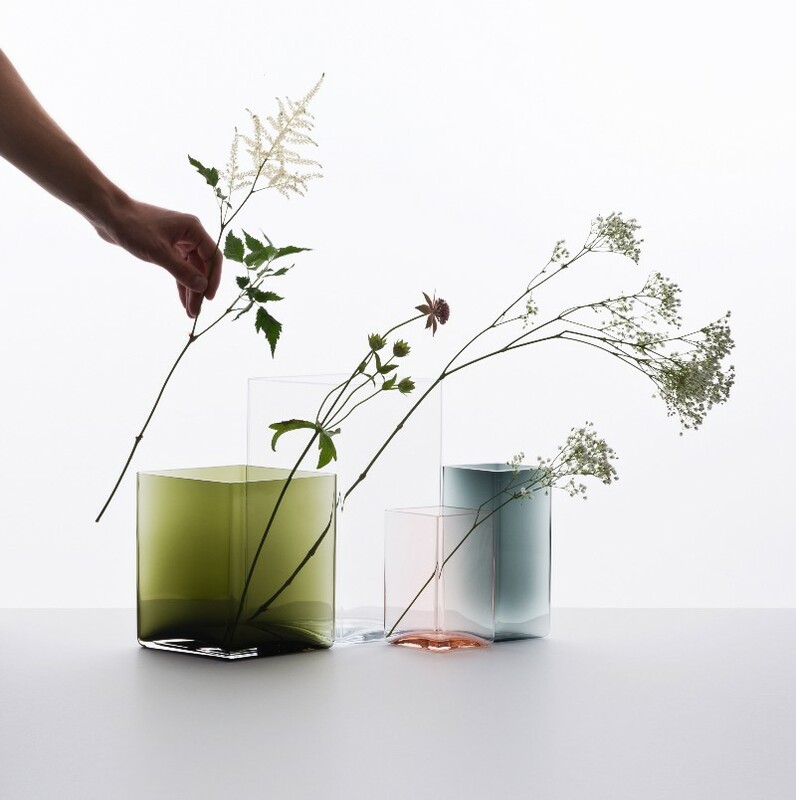 However, where the Aalto vase embodies an organic form, Ruutu follows strict form and makes a perfect collectible. 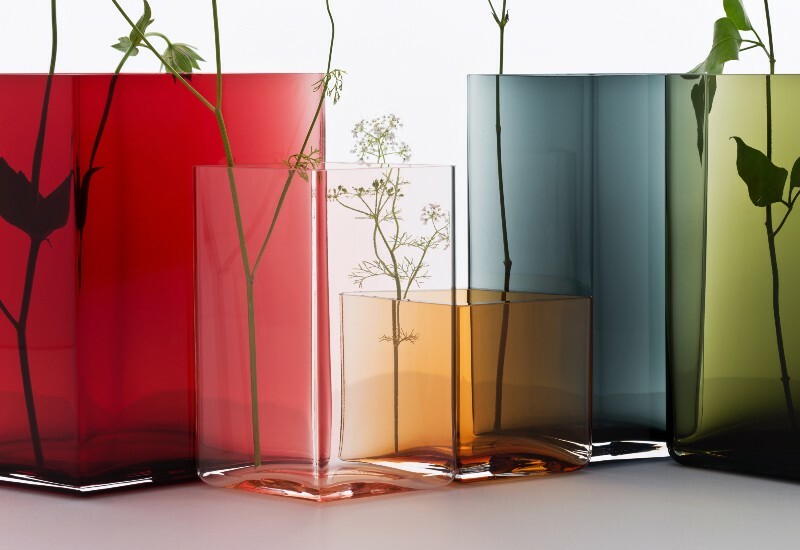 Each vase is a simplified masterpiece taking seven craftsmen 24 hours to produce in the Iittala glass factory. 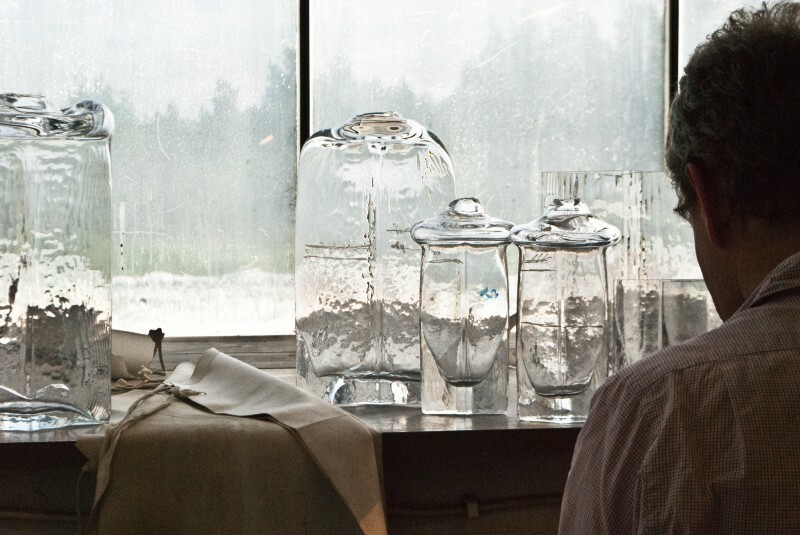 Glass blower Tapani Viljamaa says, “It is fascinating to struggle with a living material. 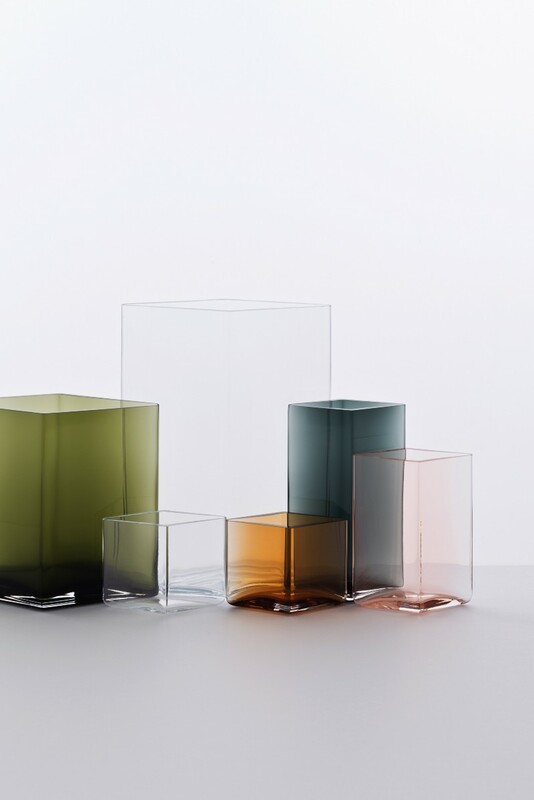 Glass is a material that does not forget if you do not treat it well. 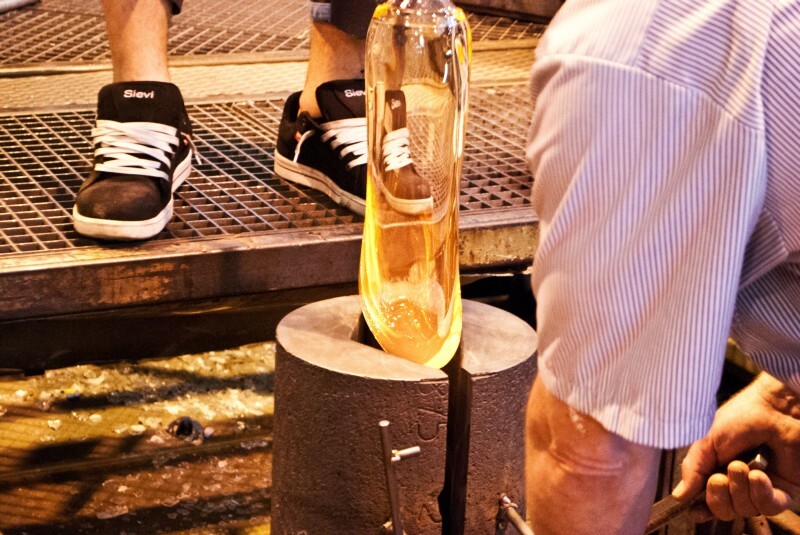 It has a memory.” The large colour variety presents another challenge in production: reaching an even, delicate colour requires the exact temperature, timing and a great deal of expertise in glass-mass chemistry. 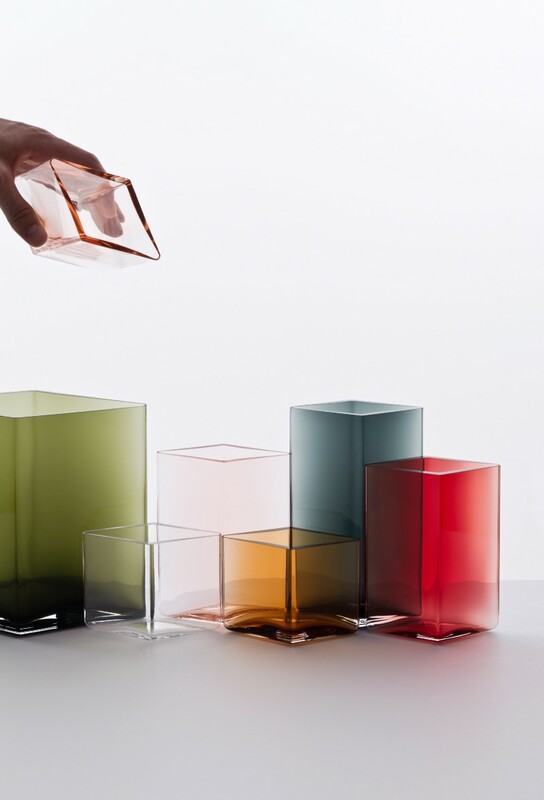 Designers Ronan and Erwan Bouroullec explain, “Iittala knows very well how to manipulate colours. 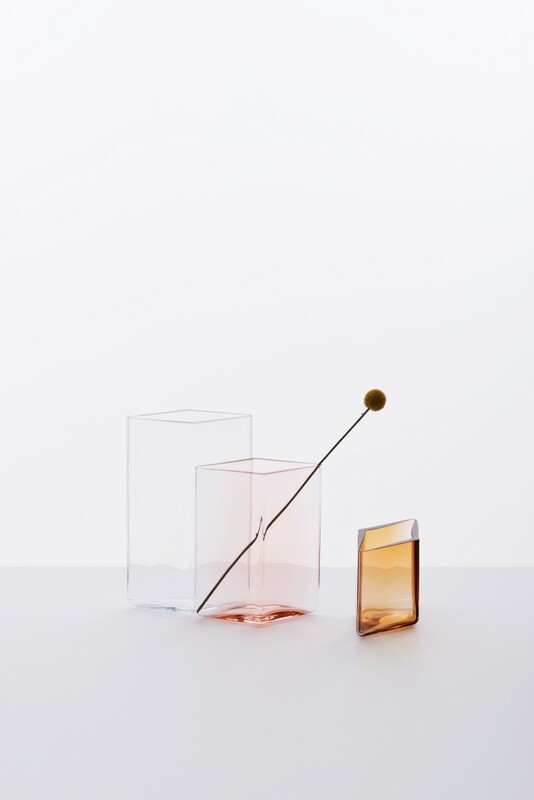 In Ruutu, we were able to create a delicate, watercolour-like palettes that intermingle with each other when combining sizes and colours. Ruutu allows a game of composition. 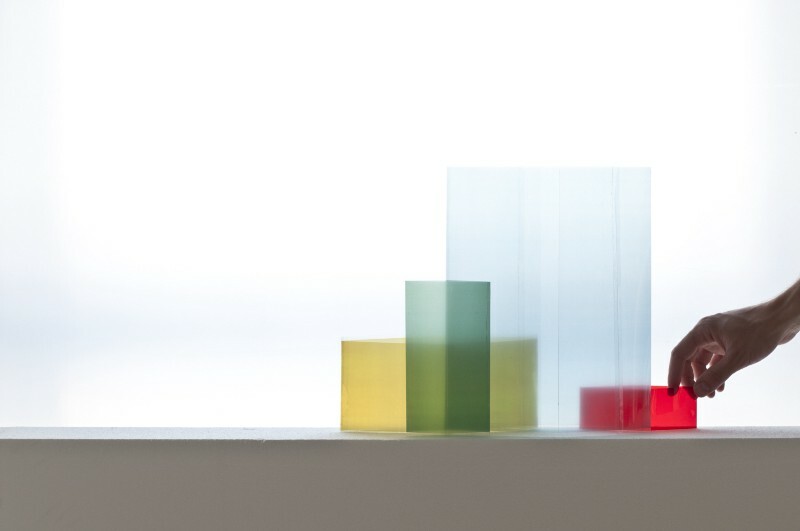 We wanted to show the sophisticated range of Iittala colours while at the same time handing the job over to the user who will feel tempted to have several modules to create his or her own individual assemblage.” Ruutu was an inspiring challenge in the Iittala glass factory given the many hours required to create symmetry, yet keep the feel of a handcrafted, unique product. 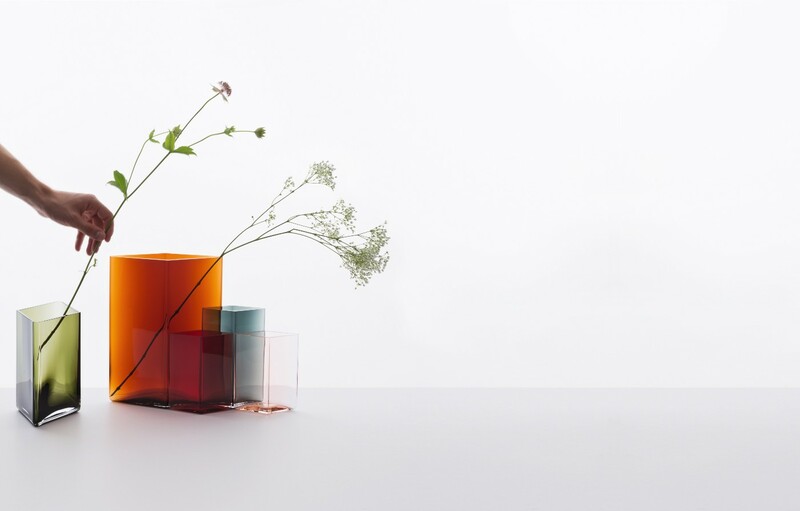 “We were seeking to express the purity of glass blowing in this simple diamond shape,” explain the Bouroullec brothers. 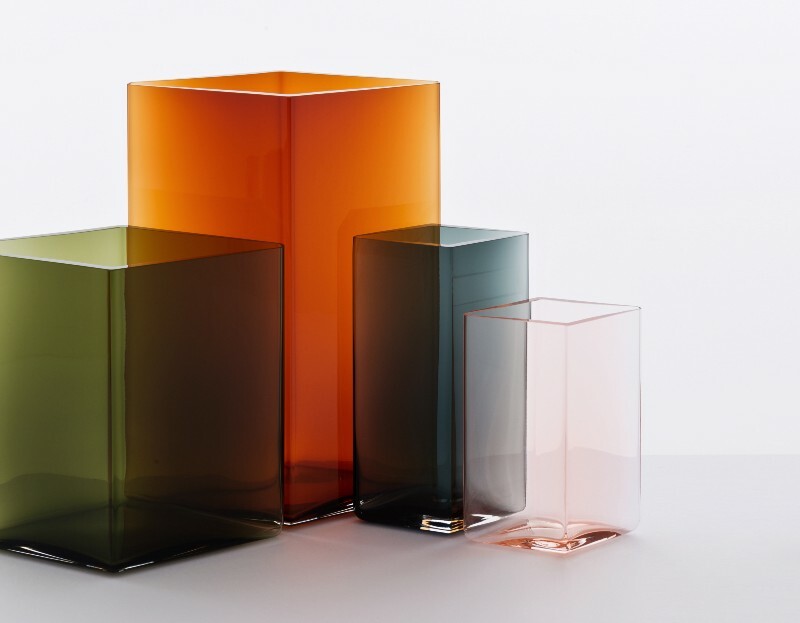 “Glass is a material that likes round shapes. When hot it flows like honey and does not like to be pulled into a very precise geometric shape. 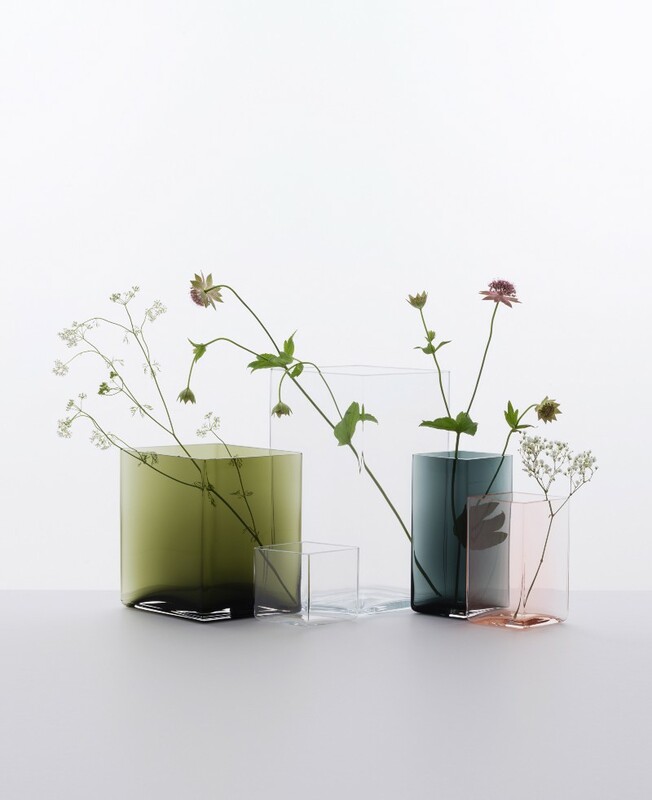 By developing the strict shape we are reaching the limits of the material, and using the highest level of the Iittala glass-blowing expertise.” Each Ruutu vase has the designers’ name engraved on the base.